For 21 years the CCLax has been specializing in the growth and development of young lacrosse players. We take pride in providing the Cape's best experience for anyone looking for instruction through our camps, clinics and private or group lessons. Massachusetts. 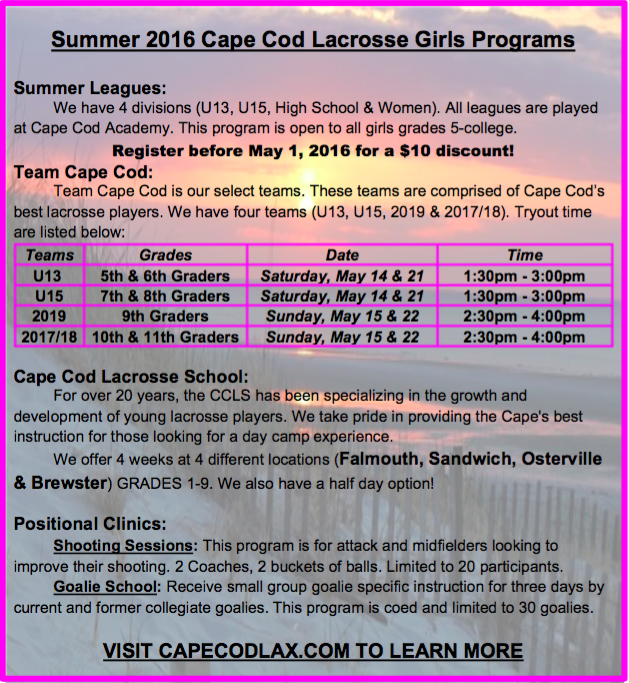 CCLax currently offers league play for players of almost any age, male or female. 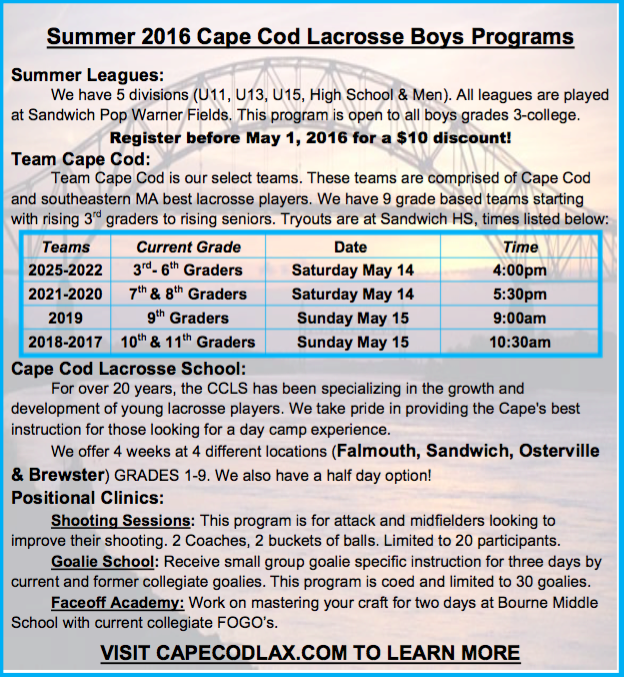 CCLax will be fielding 3 girls teams and the boys will fielding teams from grade 3 - 12.